Noah receives a very unexpected visitor–it is Camilla and she wants to be heard out. She weaves a story of betrayal and violence to which Noah responds in a very unimpressed manner. Yet somehow, they end up in a passionate embrace. Indeed, there is a thin line between love and hate. Fernando Cortez is working on fairly routine cases and slowly moving up the ladder of law enforcement when he is invited into the elite world of SISS: the Secret Intelligence Sims Service. He is finally able to whisper the words ‘I love you’ to a sleeping Alexandra but then escapes with an alias for his first assignment. Seaweedy’s Note: I am adding this legacy today and it is, to the best of my knowledge, the first ‘Its So Cliche’ legacy challenge I have included. I will be focused on the first generation. Combining elements of the past and future, readers are introduced to Amerika DeWitte via a letter she has written to her mentors upon arriving at college. As time marches on and the letters continue, Amerika finds a crush, travels abroad, has a child out of wedlock and eventually discovers the meaning of true love with a caring mate. Elyse, undercover as Lee, wakes up after a serious night of partying. Her assignment for the day is easy–walk Dana home from the bus stop, but the more she knows about the kid, she more concerned she is coming. Is she getting into her mission too deeply? She must be honest with Chris, Captain Carlen and herself. Just as things appear to have become less charged for Amari and Marcus, a little controversy arises: teenager Finlay has a romantic interest and it is not what her father would have expected. 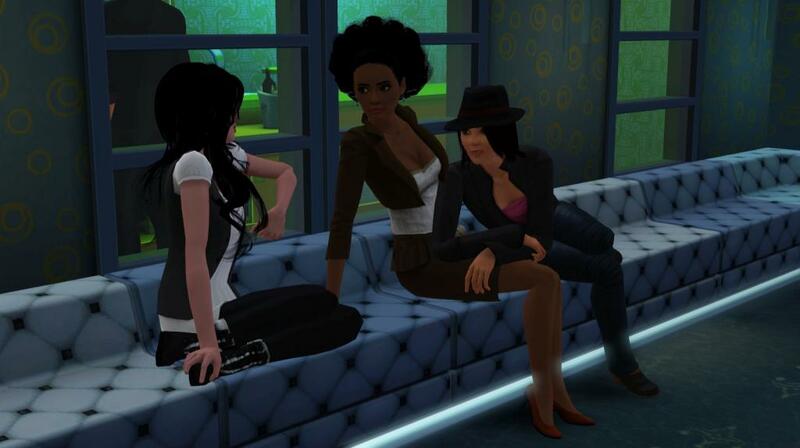 Amari, however, takes it in stride, putting troubled minds at ease and firm house rules in place. In this beautifully-penned epilogue, Lyn and Luke make several rites of passage through love, marriage and family free from drama and anxiety and full of romance and happiness. Seaweedy’s Note: I am adding this story today–it is still in the first generation so readers will be able to catch up quickly. 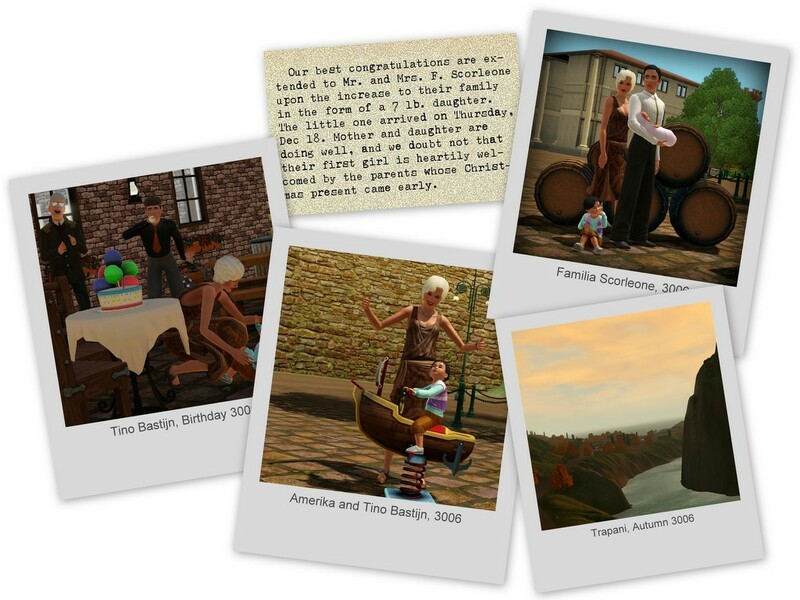 Nothing beats a legacy for a reader who simply wants to see Sims do what Sims do best: be Sims, of course! The Abners do not disappoint as they go about their daily lives making mundane stuff funny and funny stuff crazy and making babies at a rapid rate, for this legacy requires each generation to have 10 children. Meet founders Shawn and Abby and let the fertilization begin! Dan and Andrew back up Kirsten in asking Laura to back off her need to control the impending wedding. Jake has to confess to Dan that he borrowed money without asking to make plans for a wedding of his own when he purchased an engagement ring for Kay. Michaela stumbles through her first performance with her band the Drifters. But with encouragement from her bandmates and a makeover that helps her leave a piece of her past behind, she helps the Drifters triumph at their next gig. Seaweedy’s Note: I am adding this story to the blog today and will focus on the first generation. Voracious readers will thrill to this fast-moving, almost daily updated Berry story. The origin story of Azura Sky and his mate Summer Mist is a fantasy come true for romantics, for they are stuck together on an island all by themselves. In spite of their differences–Azura being a Berry Landwalker and Summer being a hybrid Mermaid and Berry, complete with silver eyes, they find love and a multi-generational story is born.